Holiday Scents collection is an easy, flameless way to fill your home with fragrance and a soft glow. Designed for use in our Illumination™ and Pluggable fragrance warmers (sold separately), 100% paraffin wax bar is grooved so you can easily break off just the right amount. 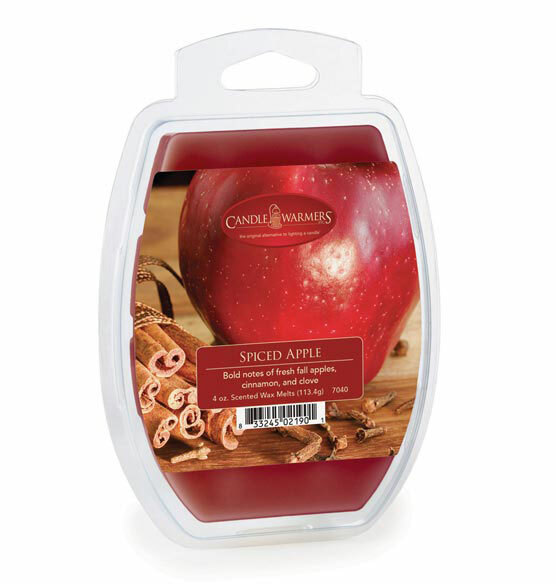 Pair wax melts with our fragrance warmers for a great gift idea! Choose from 5 fragrances: Spiced Apple with bold notes of fresh fall apples, cinnamon and cloves; Balsam Fir to invoke the fresh-cut smell on a crisp winter day; Home for Christmas with hints of holly berries, earthy fir, cedar wood and vanilla; Pumpkin Spice with delicious notes of fresh pumpkin, sweet vanilla cream, cinnamon, cloves and ginger; and Christmas Day, a festive combination of spicy cinnamon, cloves, nutmeg and fresh juniper. The name alone grabbed my attention and the description sounds great.